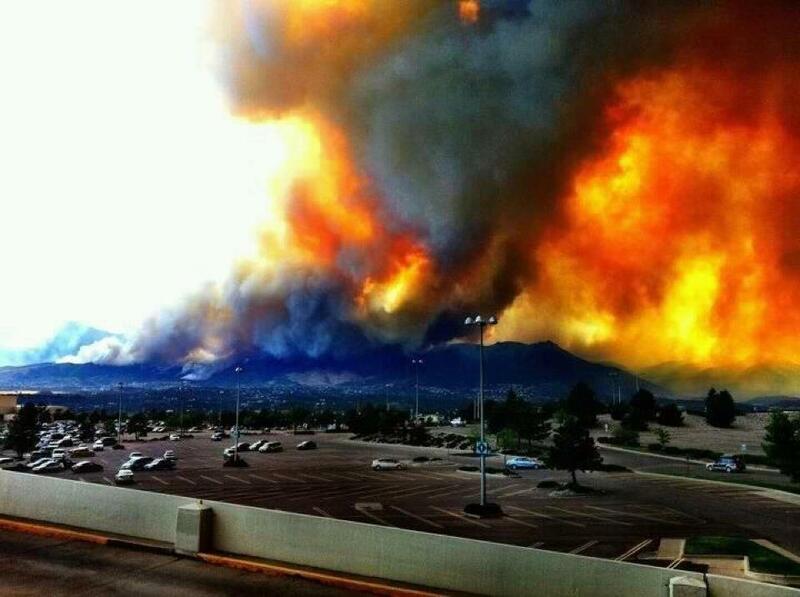 You may have seen the alarming news that Colorado Springs is on fire! We never thought the city we live in would get caught in such a big fire. Friends of ours have already lost their homes, and others have been displaced. Those displaced face the possibility of losing their home, and in the meantime they need to find another place to live. One of our friends that’s been displaced is Tom Graham. Tom has been a mentor to me over the last 12 years, and he has been one of the most influential people in my life during that time. It’s sad to see such dear friends going through this. Now all they can do is wait and pray, hoping their home will be saved. We live on the east side of Colorado Springs, and the fire is on the west side, so at this point our home isn’t in danger. We do need prayer! Prayer for the city, and all those affected by the fire. That’s a great reminder to all of us. Keep your eyes on the Lord. Psalm 46 offers us great comfort and encouragement. The subtitle for the Psalm is, God is Our Fortress. It’s so important to remember where are peace comes from. Who are rescuer is. This is an opportunity for us to trust in the Lord, as I wrote about recently. We cry out to the Lord for help! Please rescue our city. Deliver our friends and our homes. Stop the blazing fires. Change the direction of the wind. Comfort our friends who are displaced. Comfort them as they wonder if they still have a home. Draw people to yourself during this fiery trial. Our church, Village Seven Presbyterian Church in Colorado Springs has started a web-link for information on how you can help. Tonight the church called a prayer meeting to plead with God for His mercy to save our city. Here’s the link for more info on ways you can help – v7pc.org/fire. Here’s a link with some news on the evacuations, and some updates on the fire – Waldo Canyon fire. 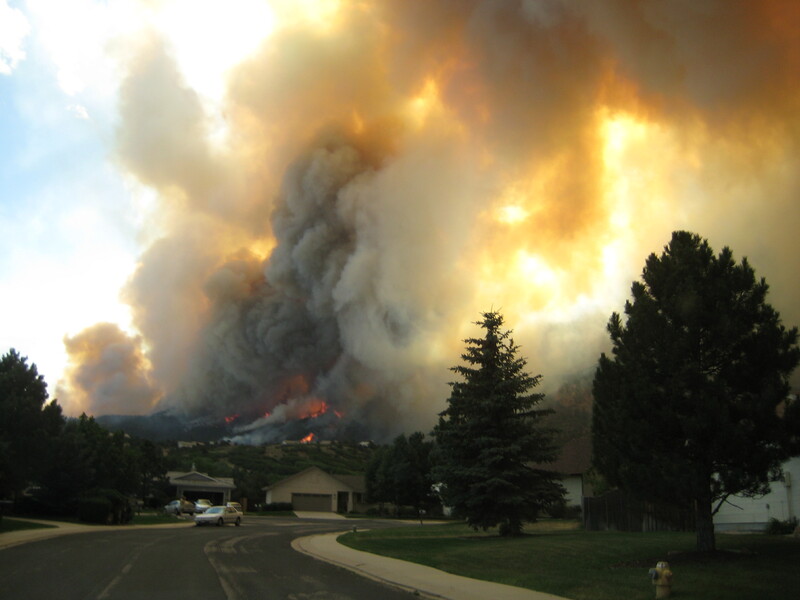 This article captures some of emotion in the Springs – Firestorm of Epic Proportions. Dawn and I are in California we fly back to Colorado on Thursday. Pray that we are able to get to Colorado without any complications. David, Jon and Hannah are home. We look to the Lord for their safety. Wow, what a hot and crazy summer! Thanks for caring, and praying with us. Thanks so much – we need it! Thank you for letting us know what is going on and how we can pray. God bless you and keep everyone safe. We do pray that he will keep everyone safe. Thanks so much for your prayers. I am praying for your city. It is a horrible thing what is happening. We’ve had a lot of flooding here from TS Debby (Tampa area). Yes, we need to seek God’s face (always, though, and not just in the midst of the storms that come into our lives). Sometimes He sends us the storms as a wake-up call. Life isn’t about things and possessions (I lost most of mine when I lost my job in Houston over three years ago and I’m still currently unemployed). God has His reasons for every storm that hits us. It’s usually to shake off the things in our lives that have become more important than Him. May we heed His message. I’m certainly not saying that this is the case with the fires in Colorado Springs (or the flooding here), but we shouldn’t rule it out either. I’m praying that God will keep everyone safe. Yes, I agree God does use events like this to wake us up. We don’t know the reason for all the trials we face, but we do know God can and will use them for good. standing in agreement with you that God would show his mercy to Colorado Springs and that everyone will be safe. Thank you – things are looking better. I don’t think anymore houses have been burned down. Just heard we have 2 or 3 three friends that lost their home. praise God things are looking better and I am so sorry for the loss of your friend’s homes. I pray he will be with them and give them courage and strength to rebuild. I’m glad that they have started lifting the mandatory evacuations from many neighborhoods. I used to live in Colorado Springs so I am concerned for those there. Thanks for this reminder (and thanks for visiting my blog and liking it). Things are getting better, but about 360 lost their homes, and 4,000 homes were damaged. Those families are displaced, so it’s tough for them. Thanks for the like, and God bless you! I’ve been praying for all of the people going through this there! We appreciate the prayer. It’s very sad when you see the pictures of the homes that have burned to the ground. Only the foundation is left. You might really like a post I just made tonight http://lynleahz.com/2012/07/03/father-forgive-me/ and I have a prophetic/news peice I just did the other day on wildfires and terrorists you might be interested in reading as well. God bless you,and my heart goes out to you and all of the people. I know my tragedies of having no power in 100+ degree temps for three days don’t seem like anything in comparison to what you all are going through. Ok – thanks I’ll check it out! Prayimg for God’s work through you and your family. Thanks for praying and for your encouraging words!